Fast food is especially tempting for college students because we don’t have kitchens or large freezers. Instead, we resort to junk and fast food to get us that quick fix of energy we need as we run around on campus. I got stuck in this trap during my junior year of college and ended up putting on some pounds because of it. I went to our campus dietitian for some help because I had no idea where to begin on eating healthy due to my bizarre schedule. Luckily, she had some advice for me that has stuck with me ever since — and it’s not your typical “eat your fruits and veggies” mumbo-jumbo! Avoid energy drinks like the plague. If you need caffeine, then stick with coffee because even though it’s not the best for you, at least you can add milk to it and get some nutritional value! Limit your sugary drinks. I absolutely love Mountain Dew AND sweet tea, but I cannot have both in the same day. That’s way too much sugar, not to mention too many calories. I try to only allow myself to have one sugary drink each day. I don’t always stick to that, but I certainly try. Try tuna! For the longest time, I had no idea how yummy that tuna in a bag could be. I only tried it because my dietitian said it was filled with protein and was easy to turn into a quick, healthy meal. Plus, you don’t have to worry about cooking it or storing it in a fridge … double bonus! Always eat breakfast. If you don’t, you’ll start off your day hungry, and it won’t stop unless you eat something. You’d be amazed how much easier it is to make it through History 101 when you’ve got a full belly. Even if it’s just a granola bar, it’s at least something to help! Plan out your week in advance. No matter how much stuff you have going on, make it your job to get to the grocery store every week and grab some items that you need for breakfast, quick lunches or midnight snacks. Don’t do anything else while you’re eating like eating in front of the TV or while you’re writing a paper. If you are out with a friend, try to eat as slowly as possible. Slowing down and paying attention helps you avoid overeating. Alcohol takes up A LOT of calories — much more than you think. If you want to lose weight, try reducing your alcohol consumption as much as possible. My cheat sheet isn’t filled with anything that is incredibly hard to incorporate into a busy college schedule, it’s just a couple of things you need to change about lifestyle. While some of these might not work for you, you will be able to find out what does, and before you know it, you could drop a pound or two! P.S. 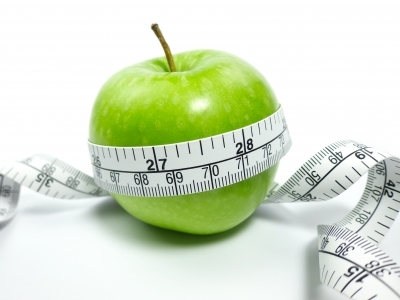 Check out if your school offers free dietitian consultations. If so, try it out! You’ll be amazed at the advice that he/she can give you!